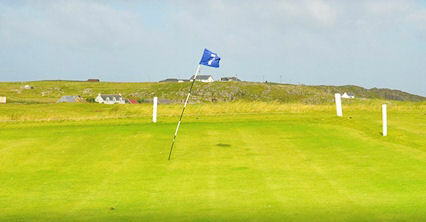 Located on the beautiful island of South Uist in the Outer Hebrides, Askernish Golf Course has been hailed as "the most natural links course in the world". 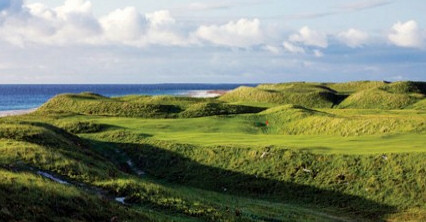 Painstakingly restored to its 1891 condition, with four of the original greens being incorporated in the new routing, the 6,080-yard par 72 course is laid out in a traditional loop system alongside the Atlantic Ocean and has its fairways formed from the natural contours of the dramatic dunes within which it sits. What's more, no artificial chemicals are used in the maintenance of the layout and, during winter months, it's not unusual to see sheep and cattle graze the course. 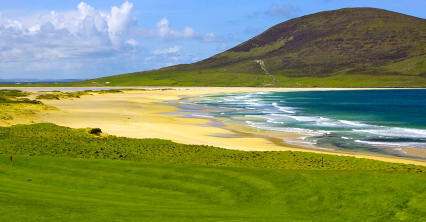 Keep your eyes peeled for the seventh hole, the signature hole at Askernish. 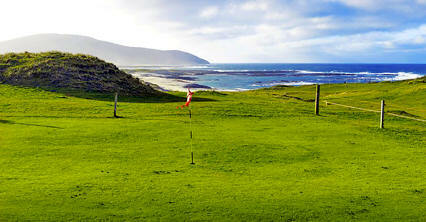 The ocean comes into view for the first time off the tee and you are faced with a daunting drive down a valley with a bottleneck at 200 yards. 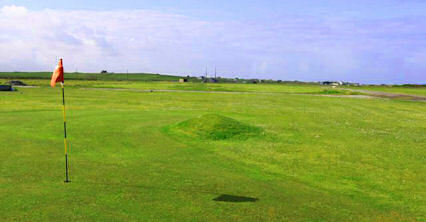 The approach shot is to a diamond-shaped green situated at the end of the valley and nestling at the bottom of a huge dune. 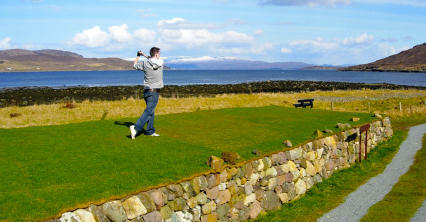 Sign for a par here and you'll be doing very well indeed. 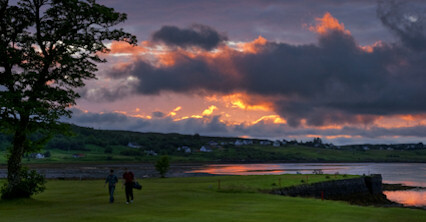 With full clubhouse facilities available to all visitors and special package deals for groups of visitors available on request, Askernish is, quite simply, one of a kind. Five miles north west of Lochboisdale. Closest town:Askernish.